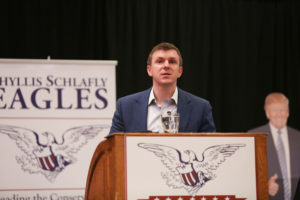 At this year’s Gateway Eagle Council in St Louis, alongside longtime patriots such as General Michael Flynn, conservative Ralph Reed and economist Stephen Moore, a new generation of notable conservatives was also recognized, including controversial videographer James O’Keefe and Turning Points USA’s Charlie Kirk. O’Keefe and Kirk are making headlines and changing the nation’s perspective on conservatism. The two shared their experiences and insight into the political and cultural battles that lie ahead. 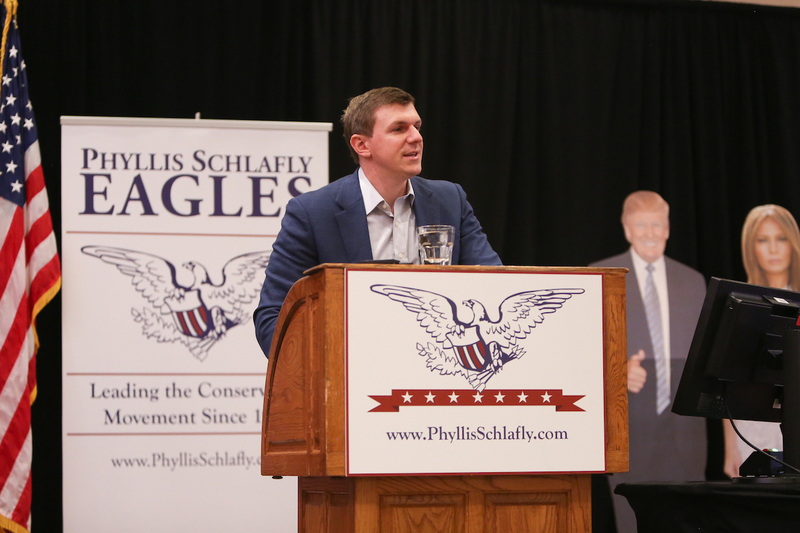 James O’Keefe at Gateway Eagle Council XLVII, September 2018. 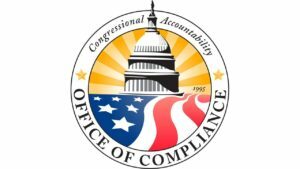 As O’Keefe said: “Some federal workers might even lose their jobs.” It was announced on Wednesday, September 19, 2018, that the US Department of Justice would look into alleged “misuse of government resources to advance personal interests”, in response to a video from James O’Keefe’s Project Veritas purporting to expose Deep State federal employees. Only time will tell whether the videos will lead to serious investigative work on behalf of the government. James O’Keefe has lived up to his promise. Less than a week after O’Keefe teased attendees at Eagle Council to watch for his release of Project Veritas videos outing Deep State individuals, as of Friday, September 21, there have been three released. 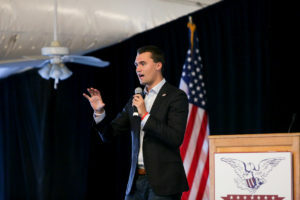 Charlie Kirk speaks at Gateway Eagle Council XLVII, September 2018. 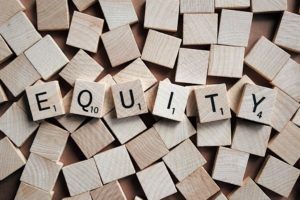 Candace Owens of Turning was scheduled to appear at Eagle Council, but she was unable to keep her commitment. Most of you have often seen and heard Charlie Kirk speaks often on TV. Having had his desire to enter the U.S. Military Academy at West Point rejected, Kirk decided to delay college by six months. During this period, he started something from nothing at age 18. At age 24, Kirk saw his organization grow to over 1,000 chapters on college campuses. Only in America is this possible! Charlie to the Gateway Eagle Council audience of being invested in a cultural war and how politics is downstream from the cultural war. Students are told America is racist, because land was stolen from the Indians to benefit the white ruling class. In visiting college campuses, students aren’t always opposed to what Charlie has to say, he told the attendees. 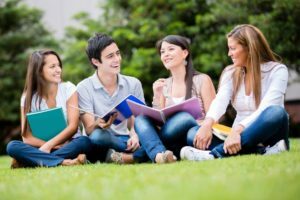 In many cases, students haven’t been exposed to the idea that America is a great country but were instead taught to express anger at their country. According to Charlie, when students are asked if they are proud to be American, only 18% respond positively, whereby the number was 54% when Obama was president. While liberals in the past used to listen and then politely declare their right to disagree, this no longer exists. A person must think a certain way because of their skin color. That a black person could ever be a conservative is perceived as a racial statement. As such liberals succeed in controlling people by dividing them into groups. 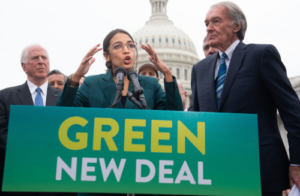 Charlie Kirk spoke of President Trump as the first president who is being attacked for doing what he promised to do, such as dealing with China’s trade imbalance, moving our embassy to Israel, and more funding for ICE. America is the greatest country in the history of the world. It’s a safer and better place because of a strong America. Our Constitution is the greatest political document ever written. It tells government what it cannot do for us. 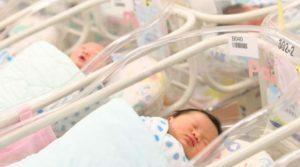 The Free Market system has made this nation thrive and prosper. Kirk spoke about the great divide that exists on colleges campuses: those thankful to live in America and those who are angry about America. Colleges are teaching a generation of students how to be angry. Many students at Harvard, Yale, and Berkley find nothing good about America. As far as victimhood, the Left loves victims. If you wear the badge of victimhood, you never run out of people to blame for your failure. It becomes a badge of honor, he said. 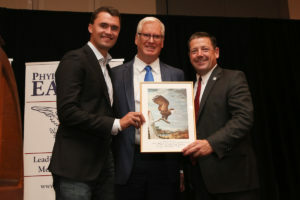 At that night’s dinner named for Major General John K. (Jack) Singlaub, Charlie was presented an Eagle Award by John Hoft of Gateway Pundit and Ed Martin, President of Eagle Forum. Charlie Kirk receives an Eagle Award from Jim Hoft and Ed Martin. The Gateway Eagle Council event was held in what the Marriott St. Louis Airport Hotel refers to as the “Grand Pavilion”, but Eagle Council referred to it as the “Presidential Pavilion” because of the many presidential hopefuls it hosted there in 2015. 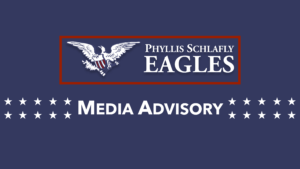 Jim Hoft, Gateway Pundit, one of the most influential conservative websites in US politics, joined Eagle Council XLVII, founded by Phyllis Schlafly in 1972, for this leading mid-America conservative conference. 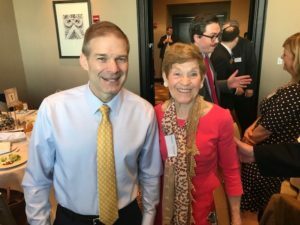 See here this year’s lineupof top American and European conservative leaders who provided amazing insight about issues facing this nation and in Europe. In Part 1 Thorner spotlighted three of the five notable speakers who spoke under the heading President Trump is Winning at the first scheduled Eagle Council event on Friday, September 14: Ralph Reed, Stephen Moore, and Sam Clovis.